Happy Friday. Click This. I Was Promised a Flying Car. Happy Friday! This week we’ve curated a post about the age of automobile automation (aka “I was promised a flying car”). We hope you enjoy the links below and have a safe weekend—on and off the road! Do you remember watching The Jetsons? I do. As a child of the 80s, I stumbled out of bed almost every Saturday morning to: (1) secure sugary cereal; and (2) tune into a cascade of cartoons that lasted until noon. The Jetsons was one of my favorites. At the time, I didn’t know I was watching a syndicated version of a show originally created and aired in the early 1960s. (I also didn’t know sugar was bad for me.) Twenty years later, The Jetsons still felt wonderfully futuristic—and my eight-year-old self believed the promise of a flying car. Thus far, flying cars have proven to be inspirational, problematic, and potentially very dangerous. And yet the promise of a flying car still captures our imagination. While we may not have the flying cars of the future we were promised, we are beginning to see more and more prototypes for alternative transport. 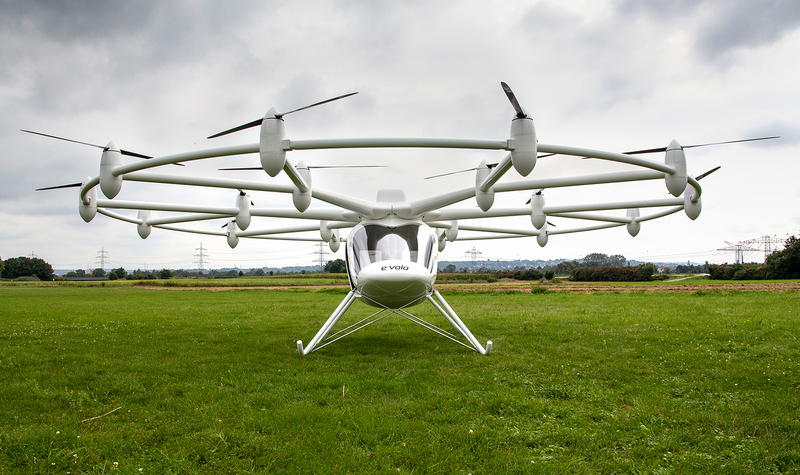 Take, for example, e-Volo’s Volocopter, a flying machine with two seats, 18 rotors, and a battery-powered engine. Autonomous automobiles may not be as exciting as flying cars, but they seem to be more attainable. NASA and Nissan have teamed up to design and test self-driving vehicles for both Mars and Earth. The University of Michigan has paired with Local Motors to test a “SmartCars” program that would allow students and faculty to use their smartphones to reserve autonomous cars—constructed of 3D printed parts—that would then pick them up and drop them off at their desired (on campus) locations. Google (of course) has also entered the ring, deploying self-driving cars on the streets of Mountain View, California. However, as Alexis C. Madrigal notes, these cars don’t work just anywhere. They require the virtual “track” of Mountain View that Google has created by collecting a tremendous amount of data about the environment so that the cars can be pre-loaded with software. The software then produces a very special kind of map: a virtual world that makes the material world legible to computers. Self-driving cars will require not only a different approach to mapping and legislation, but also a different approach to information and technology communications between these cars and the roads themselves. In Finland, the international Celtic Plus Co-operative Mobility Services of the Future (CoMoSeF) project has produced a system that focuses on the development of data exchange between vehicles and infrastructure. A roadside station collects and then shares weather and traffic related data with vehicles so that drivers can be informed of incidents in real-time.